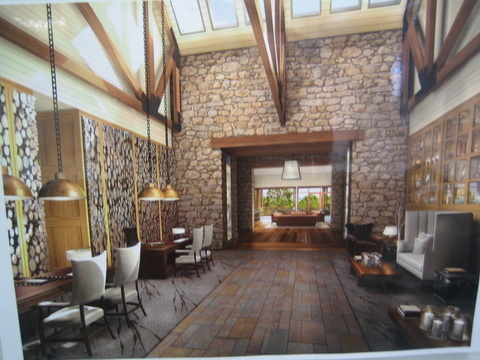 The Wolgan Valley Emirate resort is Australia's only 6 star resort so the building work had to be perfect. The resort is built in a beautiful private valley north of Lithgow. Australian Colonial homestead ambience with contemporary design features in the 1 or 2 bedroom cabins with plunge pools and private butler service. This was Russ's first experience working in the commercial building industry after over 5 years working for legendary local upper Blue Mountains builder Roley Clarke. 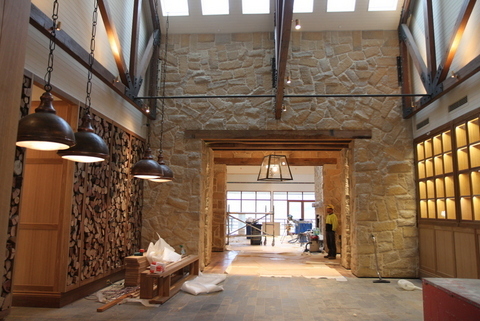 The Wolgan Valley Emirate resorts is Australia's only 6 star resort so the building work had to be perfect. We built it in a beautiful valley north of Lithgow. Hours were long, with an hour drive from home. One day off was spent showing the family what took me away for so much of the time. The beams for the main building were seasoned ironbark and the Irish carpenters had trouble believing a timber could be so hard. Some great details. This wall of firewood had everyone skeptical at first. The exposed framing timbers had to be made to joinery standard. Each villa had it's own indoor swimming pool. Each room blended the indoors with the outdoors beautifully. Eventually it finished and clean. But we need the publicity photos to see it finally furnished. Railway sleepers as joinery.Logs from the property look like totem poles.